Sipping on the Ten Fidy now, this stuff tastes like motor oil fermented with Vegemite and hops. I love it. Any recommendations from the rest of you? I'm planning my next batches right now so this thread is perfect I'm thinking a strong Dunkelweizen for fall and a nice Pale Ale for working on my car. I'll get you a six pack as soon as it's ready and bottle carb'd. Londoner just got Kilkenny on tap......yum!! i don't drink much beer but i can always appreciate a good brew. Just be careful towards the bottom of the keg, it's gets pretty damn rough. Last edited by fenderltd; 09-23-2011 at 09:59 PM. Awesome choices Drew! I love everything from Unibroue. My picks are normally Trois Pistoles and Don de Dieu. Maredsous is awesome too. I prefer the lighter, but stronger, Triple. We need to all get together sometime and each bring a 2 or 3 bottles of whatever and pour some flights. Love Arrogant *******. You need a Trappist Ale to change it up. I believe the Maredsous 10 Triple on the far right in the pic is a Trappist (style) ale. ...had that feeling in my stomach as soon as I pressed "reply". Need to try Maredsous. A friend of mine used to always say "It's not real beer unless it's God's beer." - meaning only Trappist and Abbey ales are real beer. A buddy took me to "The Bottle Shop" the other day down on Lower Greenville and, hot damn, it's a beer Mecca. We need a DFWAC meet here, I'm going to see if I can set one up in the next couple of weeks. If any of you like a good hefeweizen try Erdinger. Chimay one of my personal favs. Albeit not form the monks, Duvel os one of my favs too. Thanks Airbag. Now I'm thirsty & contemplating leaving work early. 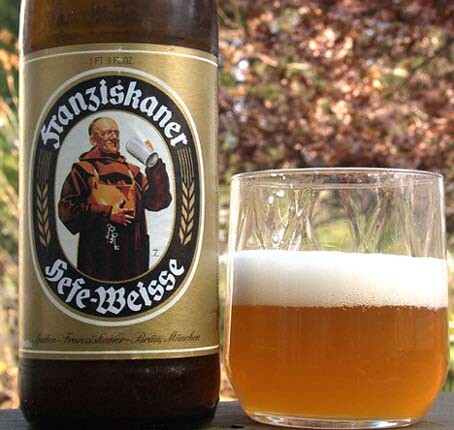 Nothing like beer formulas from Monks. Last edited by CIWS; 10-18-2011 at 06:30 PM. Last edited by RCarmichael77; 10-18-2011 at 06:33 PM.